Can Sizing John or Thistlecrack win the Stayers’ Triple Crown? Only one horse has ever had the quality, stamina and the timing to win the Stayers’ Chase Triple Crown. Legendary five-time King George VI winner Kauto Star remains the only horse to have accomplished the feat, back during the 2006-2007 season. Consisting of the Haydock Chase in November, the King George VI on Boxing Day and the Cheltenham Gold Cup in March, it is one of jump racing’s toughest feats. Sizing John emerged from the shadows last season to prove himself as one of the best stayers in the business. After finishing as bridesmaid to Douvan on no fewer than five occasions between 2014 to 2016, the British-bred raider stepped up to win the Irish Gold Cup in February. From there, there was to be no looking back. Up against favourites Cue Card, Djakadam and Native River, the Jessica Harrington-trained runner stayed on superbly to claim the Cheltenham Gold Cup by over 2l from Minella Rocco. He completed a Gold Cup hat-trick little over a month later by nailing the Punchestown Gold Cup. It was his third straight Grade 1 success and cemented his place as a superstar stayer. But can he do it again this time around? 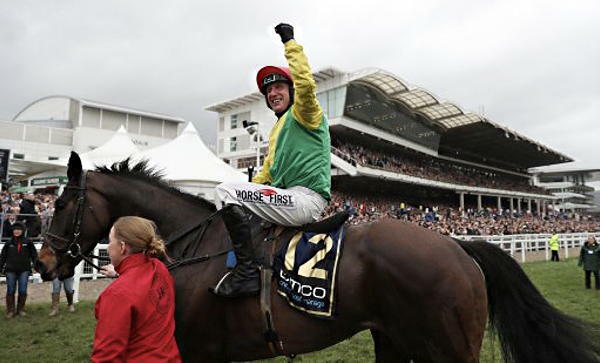 Sizing John’s success came as a result of the partnership between trainer Jessica Harrington and jockey Robbie Power. However, with owner Alan Potts opting to go with Bryan Cooper as his first-choice jump rider in Britain, that partnership could be under threat. Nevertheless, odds of 20/1 make this classy stayer the favourite to complete the Triple Crown. After a tendon injury curtailed a hugely promising first season over fences, Thistlecrack’s reappearance is highly anticipated by everyone in the racing world. In his standout performance last season, the nine-year-old hacked up in the King George VI Chase, showcasing his impressive jumping talent in the process. Following that victory on Boxing Day, much was expected of Colin Tizzard’s novice chaser. However, the late Many Clouds gave the son of Kayf Tara a firm reality check when coming out on top in an incredible duel in the Cotswold Chase in January. That defeat in Gloucestershire proved to be Thistlecrack’s last appearance of the season. Trainer Tizzard has confirmed that he has recently started cantering again though, and that means it shouldn’t be long before he’s back doing what he does best over fences. 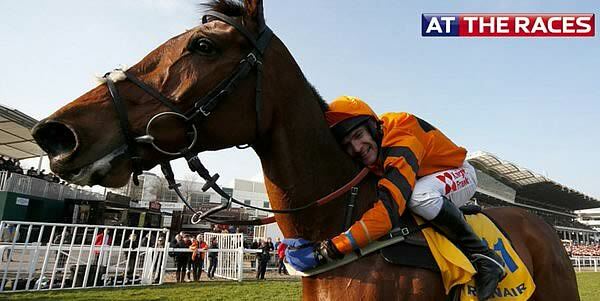 It remains to be seen whether his seasonal reappearance will come at Haydock or Kempton Boxing Day. Regardless, you can still get 25/1 on this special horse completing the historic Triple Crown. Might Bite is best remembered for a titanic tussle with Whisper in the RSA Novices’ Chase at Cheltenham in March. In that race, the Nicky Henderson-trained runner veered to the side of the course before regaining composure to land a maiden Grade 1 triumph. After proving he has the staying power to manage 3m, he’s now a 33/1 chance to land an unlikely Triple Crown triumph. Meanwhile, last season’s star novice stayer is 8/1 to cause a shock in the Gold Cup and rip Sizing John of his title. Others in contention include old-timer Cue Card and Bristol De Mai, both at 100/1. Coral also go 10/1 that any horse – those priced above or a horse on request – manages to accomplish the feat.